Big Blue Bug Solutions, a longtime New England pest control company, has been ridding Rutland homes and businesses of mice, ants and other pests since 1935. Having been in business for over 80 years we have established the most effective residential and commercial pest control services throughout New England. 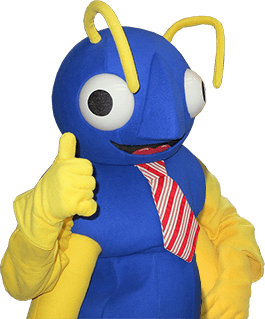 No matter what type of pest problem you are experiencing, the experts at Big Blue Bug Solutions are ready to help. Why are mice and other rodents dangerous? Fire hazard from chewing through electrical wires. Contaminating food and other surfaces. Can spread sicknesses and disease including Salmonella, Hantavirus and more. Often introduce fleas, ticks and other pests into your home. The most obvious sign is mouse droppings. They are about ¼ inch in length and are generally found near the food source. Another common sign is their nest. Nests are often made from shredded newspaper, cardboard or other paper like substances. Scratching noises in the wall or ceiling. Damage from gnawing on wood or other hard surfaces. Eliminate all clutter from the garage and other storage areas. Also remove newspapers and cardboard as they are common nesting materials. Do a thorough cleaning of the kitchen to remove any moisture or food sources. Make sure all food is stored in a sealed container. Take the trash out regularly and store it in sealed bins. Cover all vents with durable mesh. Seal any holes or cracks with a caulking. Mice can fit through spaces as small as a dime. Stinging Insects and many more. For all your pest control in Rutland trust the experts at Big Blue Bug Solutions today. For additional information on any of these services listed, or if you are in need of a Rutland exterminator quickly, contact Big Blue Bug Solutions today.